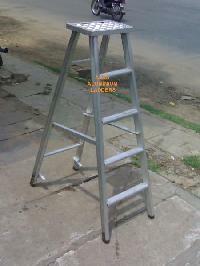 We are one of the reliable sources of excellent folding Platform Ladders. 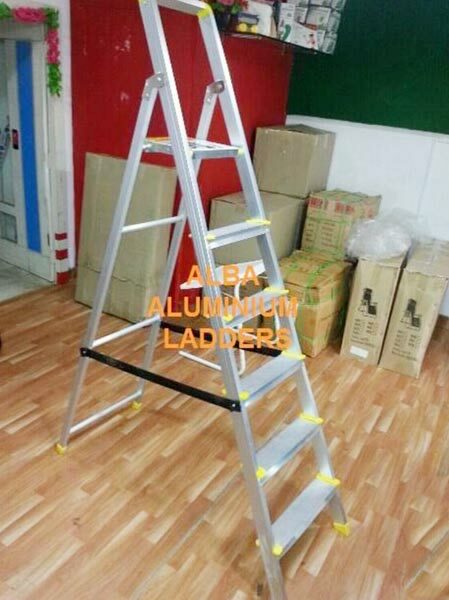 Fabricated from premium quality Aluminum raw materials, the Aluminum Step Ladders offered by us have high tensile strength and durability. Suited for industrial as well as domestic applications, the Aluminum Step Ladders offered by us, have carved niche for themselves in markets across the globe. This folding Platform Ladder adopts light weight design and it can be used easily by women, the ropes between front and rear frame provide more strength for the ladder. Our step ladder can be folded easily and it does not take too much place. S.S.parts fitted hence, Pvc Shoes, Non slip steps 80mm Household ladder, Compact and simple, Light weight and high quality Easy to storage, Easy to carry.